Designed specifically for a 1975 Chevy Corvette, this Classic Auto Air Perfect Fit Elite™ system will convert your heat-only or factory-air classic to full climate control. Like all Fully Electronic Classic Auto Air kits, each component was either specifically designed, or carefully chosen to fit your 1975 Chevy Corvette (that’s why it’s model-specific). A brand new D.E.R. (Direct Electronic Replacement) control is also available, which looks greats, works perfectly, and installs in your dash with no modifications. 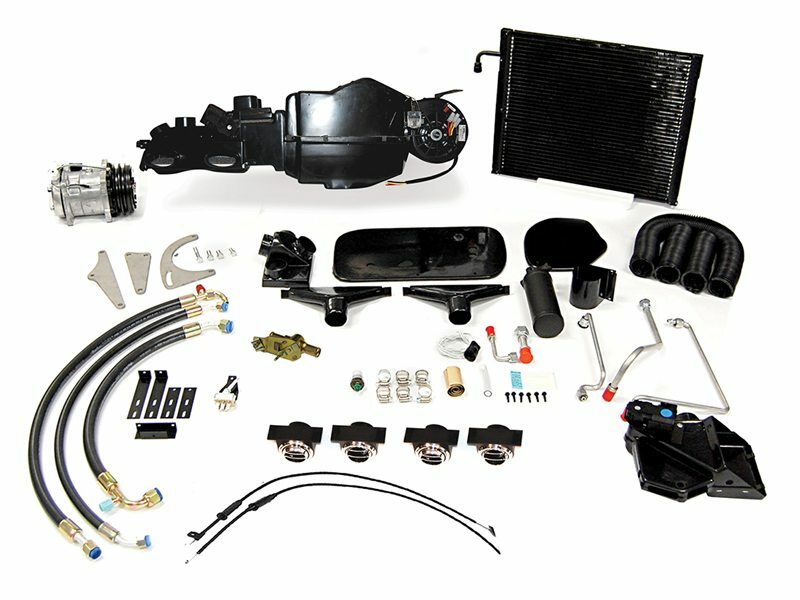 This model specific Perfect Fit Elite™ system allows you to retrofit an original, standard, heat-only 1975 Chevrolet Corvette with full air-conditioning. Engineered specifically to use the original 1975 Chevrolet Corvette heater controls and dash louvers while providing you with powerful air conditioning, heat on the floor, and dehumidified defrost. The air conditioning and defrost connect to the original heater-defrost diffusers. 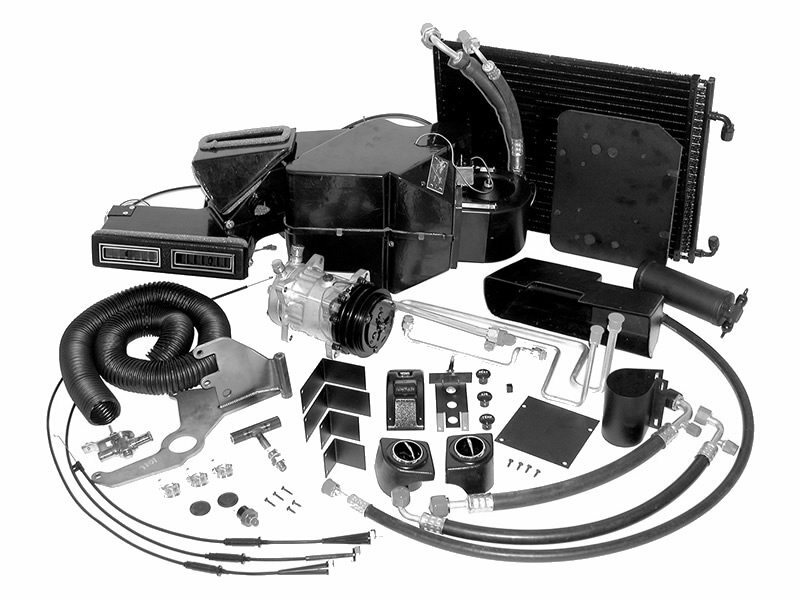 The 1975 Chevrolet Corvette Perfect Fit Elite™ air conditioning system is designed specifically to bolt into your 1975 Chevrolet Corvette with minimum modification to your vehicle. Each kit comes with detailed, easy-to-follow installation instructions and mounting template. The Perfect Fit Elite™ 1975 Chevrolet Corvette air conditioning system is engineered to actually fit a 1975 Chevrolet Corvette. It comes equipped with carefully sized, large, separate A/C and Heat coils just like factory (OE) systems, not combined A/C/Heat coils often found on aftermarket systems. The separate coils improve the cooling and heating capacity of the total system.